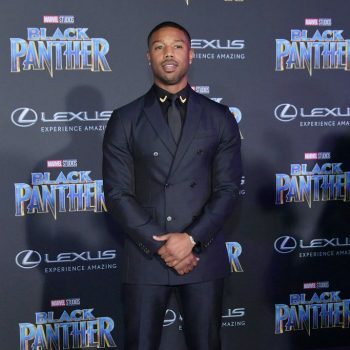 Michael B. Jordan wore a Calvin Klein suit to the Hollywood premiere of "Black Panther". He accessorized with Christian Louboutin accented shoes. Ne-Yo wore a GrayscaleIc Double 06 gold dinner jacket to the 2018 Grammy Awards. 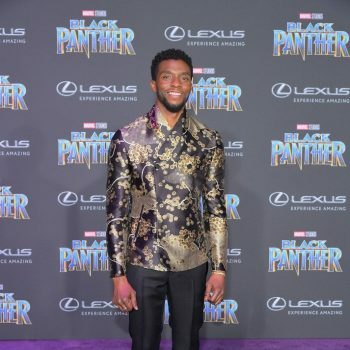 Chadwick Boseman wore an Emporio Armani Spring 2018 look to the Hollywood premiere of "Black Panther". Donald Glover (aka Childish Gambino) wore a full white tuxedo look by Ermenegildo Zegna Couture to the 2018 Grammy Awards. Zayn Malik wore a full Dior Homme Spring 2018 suit to the 2018 Clive Davis Pre-Grammy Gala. 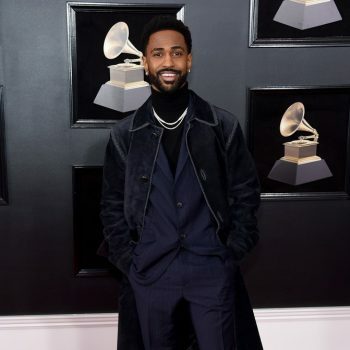 Big Sean wore a Salvatore Ferragamo Spring 2018 pinstriped navy suit + Fall 2017 suede overcoat to the 2018 Grammy Awards. The rest of his look is also Ferragamo. Jaden Smith wore an MSFTSRep top + jacket with #GStar pants to the 2018 Grammy Awards. Tyler the Creator rocked a baby blue Louis Vuitton scarf and leopard print hair at the 2018 Grammy Awards. Kendrick Lamar wore a Saint Laurent look at the 2018 Grammy Awards. He's also wearing a Chrome Hearts ring. 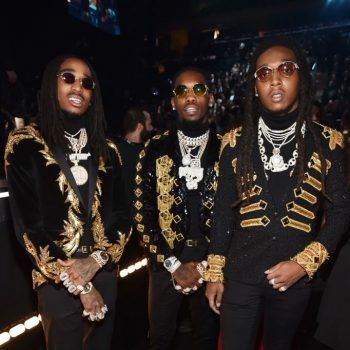 Quavo, Offset & Takeoff from MIGOS all wore Julien Macdonald custom embellished jackets to the 2018 Grammy Awards.